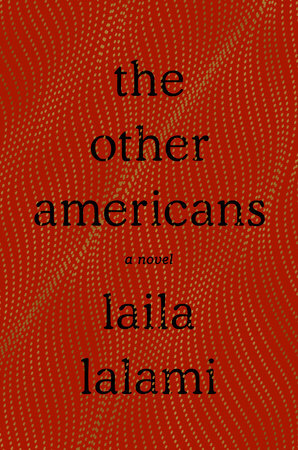 The following is from Laila Lalami's novel The Other Americans. The hit-and-run death of a Moroccan-American immigrant brings together a diverse cast of characters, the town faces its hypocrisies, and love is born. Laila Lalami has won the American Book Award, the Arab American Book Award, and the Hurston/Wright Legacy Award, and was a finalist for the Pulitzer Prize. A professor of creative writing at UC Riverside, she lives in Los Angeles. When we moved to America thirty-five years ago, many things took me by surprise, like gun shops next to barbershops, freeways that tangled like yarn, people who knocked on your door to talk about Jesus, twenty different kinds of milk at the grocery store, signs that said don’t even think about parking here. I remember pointing them out to Driss: they even have signs that tell you what you can’t think! But above all, I was surprised by the talk shows, the way Americans loved to confess on television. Men talked about their affairs or addictions or gambling problems, women talked about their weight or plastic surgeries or the children they had outside marriage; even teenagers had something to say, mostly about how terrible their parents were—and all of it like it was a normal thing. I couldn’t stop watching. The television sat on top of the supply cabinet in the back of the donut shop, and while I was washing dishes or mopping floors, I would watch Sally or Donahue, which in those days were on in the middle of the afternoon, when the shop was quiet. My brother had told me that watching television would help me improve my English, and I will say I learned a lot of new words, like paternity test and artificial insemination and AIDS epidemic, but my trouble was pronunciation, how easy it was to say “tree” when I meant “three,” or “udder” when I meant “other.” I needed a lot of practice. In Casablanca, I had my two sisters, three uncles, and eight cousins, but here in California, my brother was the only family I had, and he lived a hundred and thirty miles away. I hadn’t realized how far that was until we went from seeing him every day to seeing him only once a month, and sometimes not even that often. For me, that was the hardest thing about living in America, being so far away, it was like being orphaned. One day we went to the Stater Brothers on the 62. We had been living in the Mojave for about nine months by then, but this was our first winter here and we weren’t used to the cold, so I bundled up Salma in a green wool coat I’d bought for her at the Goodwill before we went to the store. She sat in the shopping cart, which was another thing that was new to me in America, but I let her, she liked the feeling of rolling around the store in the cart, and I didn’t see the harm in it. Looking through the coupons we’d clipped from the newspaper, I found a discount we could apply to a can of Hunt’s diced tomatoes, but I couldn’t see the brand anywhere on the shelf. 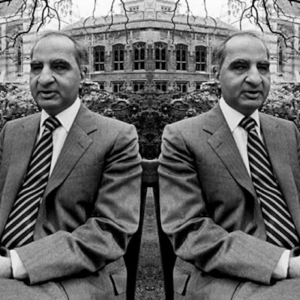 “I’m sure they have it,” Driss said. He was like that, he always had faith, even about silly little things, so while he looked for the can, I waited, shivering in my denim jacket. Then a woman pushed her cart past us, and in her wake I caught the scent of rose water. Instantly, I was back in Casablanca with my sisters, putting our hair in rollers and trying on different colors of lipstick, looking at our reflections in the dresser mirror, where a picture of Shadia was tucked into the frame, her hair in an elaborate bouffant we were trying to replicate. The radio was on, we were wait- ing for the DJ to play the Bee Gees, our friends were coming by later to watch an Egyptian movie starring Roshdy Abadha. I don’t know why I did this, but I followed the woman down the aisle and along the refrigerated section, where she got milk and butter and eggs and juice, enough for a big family, and then to the corner display, where she picked out one of the new E.T. lunchboxes, with the alien and the little boy touching fingers and the light glowing between them. The woman had long brown hair, almost the same shade as mine, only she wore hers parted down the middle, and I remember that her coat had those huge shoulder pads that were becoming popular. She went into a new aisle, and I watched as she tried to choose a brand of baking our from the dozens that sat on the shelf. “Hello,” I said. The woman turned around, her eyebrows lifting, her lips stretching into a tentative smile. My name is Maryam, I wanted to tell her. What is yours? Do you live nearby? What do you do? Do you have children? I have one daughter, she is three years old. Would you like to have tea with me someday? Are you baking a cake? I know a great recipe. You shouldn’t use Star Flour, though, it’s not good for cakes. But when I opened my mouth again, nothing came out, my heart was beating too fast inside my chest. Only now that I was close to her did I see that she had a beauty mark on her upper lip, just like my youngest sister, which I hadn’t expected, and I stared at her even more intently. But I had already mangled what I’d tried to say and I was afraid to make it worse, so I pointed to the our and rubbed my belly and smiled in a way I hoped made my meaning clear. She shook her head and laughed, displaying crooked teeth yellowed by coffee, then put a box of instant baking mix in her cart and walked off. Standing next to the canisters of frosting, I started crying. That’s where Driss found me later, crying next to the frosting. “What’s wrong?” he asked, taking my hand. I didn’t know how to explain to him that nothing was wrong, and yet everything was wrong. Salma was watching me from the cart, and I quickly dried my face, I didn’t want to upset her, especially after she brandished the can of Hunt’s diced tomatoes like a prize. A consolation prize. “Where’s the coupon?” Driss asked me. I didn’t have it, I’d dropped it somewhere along the way, when I’d followed the woman from aisle to aisle, so I retraced my steps, but I couldn’t find the little envelope where we saved all our coupons. It had taken us weeks to clip that many, and now Driss was annoyed because we would have to pay more for our groceries, and he bickered with me about it while we waited in the checkout line. We had to be extremely careful with money back then, because we had just started our business. We worked hard in those early years, we worked very hard, and maybe we should have worked on our marriage, too, like Claudia Corbett said. Listening to her that night in the car, I was thinking that we should try again, stop arguing about everything, learn to forgive our- selves, and especially each other, for our mistakes, but when I walked in, Driss wasn’t home. Usually, he was in his lounge chair doing his crossword puzzles, that was how he improved his English, he was obsessed with finding all the answers, and hardly ever looked up when I walked past him on my way to the kitchen. But as I said, that night the chair was empty, and he didn’t pick up the phone when I called him, so I called Salma instead. It was nine forty. I remember the time because I was looking at the clock on the microwave while I talked to her, and she told me not to worry, maybe he was having car trouble or his cell phone was turned off. An hour later, the police came. From The Other Americans by Laila Lalami. Copyright © 2019 by Laila Lalami. Reprinted by permission of Pantheon Books, an imprint of the Knopf Doubleday Publishing Group, a division of Penguin Random House LLC.